In the years that I have been putting on job fairs and volunteering for job fairs, one thing really stands out, and that’s how people dress for a job fair. 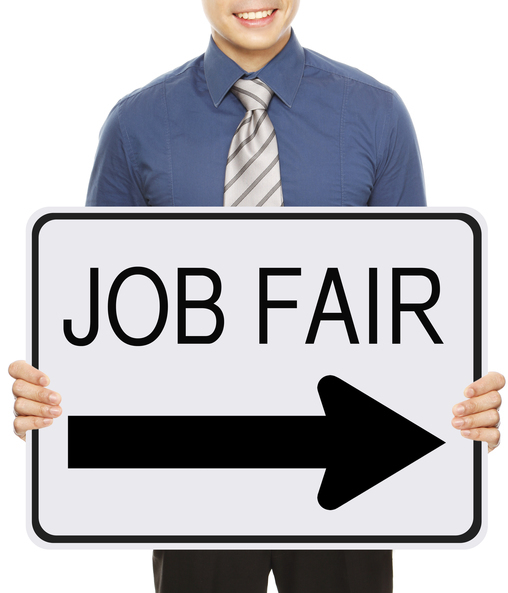 A job fair should be treated exactly like a job interview. It’s the first impression anyone who will be hiring you for a job will get and it should be a good one. Before you bring out your resume, before you have a conversation about salary or why you want the job, you will be judged on your appearance. No matter how much money you have or don’t have, you can always put yourself together in a way that will impress a hiring rep. The first thing to think about is what kind of dress is appropriate for the job you’re applying for. A job in accounting, finance, law, etc. would dictate a more conservative, traditional type of outfit. Colors like navy or grey work well, as well as medium heeled pumps for women and oxford shoes or dress slip-ons for men. Natural looking makeup and simple jewelry like pearls for women is also a good choice. Creative jobs in the entertainment industry and advertising can be bolder with bright colors and accessories. Originality is important, so show off your own style. Be creative with jewelry that can be a conversation starter. No matter what job you’re interviewing for, you should always wear clothes that fit and flatter your body type. Camouflage your flaws and play up your best assets. No matter how much money you have, you should always have shoes that are polished and clothes that are in good shape. I’ve found very nice, affordable outfits at consignment shops or at discount outlet stores. Also, no matter what kind of job you’re applying for, some things are out of the question, like flip flops, sandals, sweatpants, huge gold chains, miniskirts, and too much cleavage. Believe it or not, I’ve seen all of these at job fairs. Body language is very important, so make sure you wear clothes you’re comfortable in. Nothing is worse that squirming in your chair during an interview because your clothes don’t fit. Popping a button on your shirt or accidentally leaving a zipper down could cost you the job. Also, any kind of jewelry or accessory that makes noise, like bangle bracelets should be left at home. You don’t want anything to distract a hiring manager. You’re there to show your sparkling personality and your top level skills for the job.